Epignosis Ltd., creator of eFront LMS and TalentLMS, and OpenSesame are proud to announce a new partnership to connect eFront’s LMS customers to more than 22,000 online training courses through the OpenSesame marketplace. Based in Portland, Oregon, OpenSesame is the world’s largest marketplace for buying and selling online training courses. Buyers browse online training courses in a wide variety of subjects from workplace safety to business skills, to purchase courses that can be used online, by email or in any learning management system. Epignosis’s partnership with OpenSesame streamlines the talent development process by enabling customers to easily find and deploy online training courses to meet the needs of their workforce. Customers will be able to offer online training courses in a variety of subjects—business skills, compliance, safety, technology and more—for immediate deployment through the eFront and TalentLMS. “We are thrilled with the added value this cooperation can bring to our customers. A vast base of courses on almost any subject imaginable and readily available within eFront and TalentLMS is a win-win-win offering for Epignosis, OpenSesame and our clients,” said Founder and CTO of Epignosis, Athanasios Papagelis, about the new partnership. For more please see the recent Press Release. We recently had the pleasure of speaking with eFront partner FusedLearning. FusedLearning is a learning solutions provider that offers technology and services in learning management and mobile education – and FusedLearning has partnered with Epignosis and eFront Learning to offer comprehensive online learning business solutions. With eFront, FusedLearning is able to provide organizations in the United States access to a LMS that addresses vital training requirements for small, medium and large organizations and educational institutions that is easy to use and yet provides access to IT staff to tailor the LMS to their organizations needs. 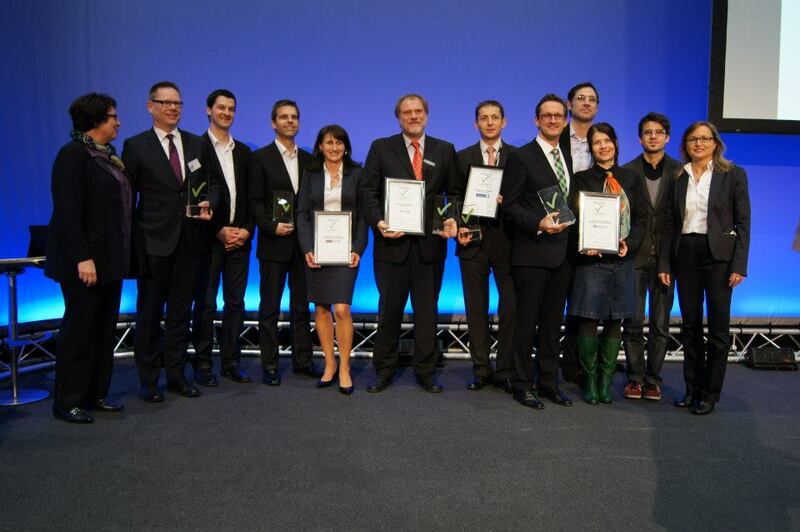 LEARNTEC 2013 – Partner wins award for eFront! Once again eFront and partner CLICK&LEARN were at LEARNTEC 29-31 Jan, one of Europe’s leading International Trade Fairs for Vocational Education, Learning and IT. 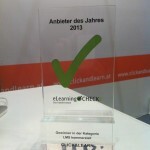 What’s more Checkpoint eLearning together with the Goethe University Frankfurt asked again 47 companies of the German-speaking market about their satisfaction with eLearning products and suppliers and as a result eFront partner CLICK&LEARN was awarded with the trophy “Supplier of the Year” in the category “Learning Management Systems” for eFront! 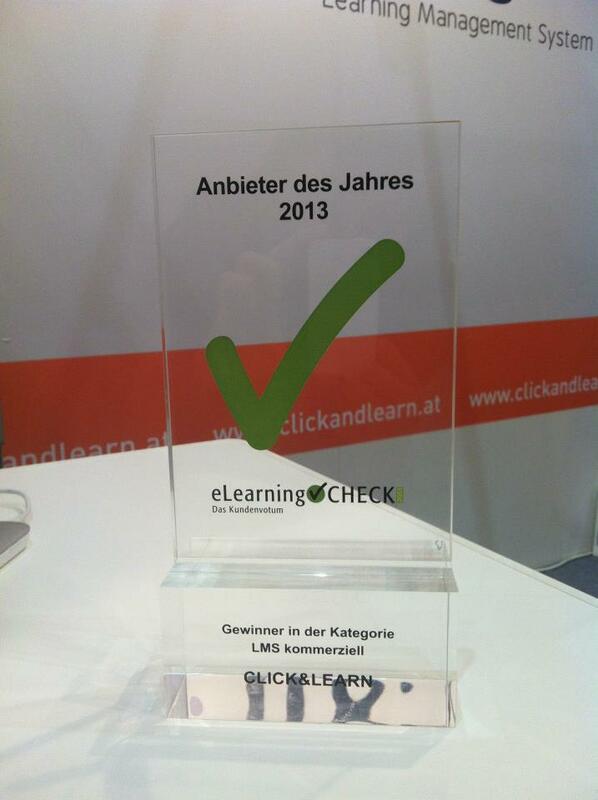 Check out the eLearningCHECK report (in German) for more! When the John B. Lacson Foundation Maritime University -DEOL Office conducted a study on different open-source LMS solutions to deliver education to a wide range of students around the globe – eFront came out on top. They decided that in terms of cost savings and ease of use and control, eFront was the best tool to use in engaging online distance learning. For more on this customer story, and the successful implementation of eFront for education, check this out! Founded in 1990, SDMS Ltd is a specialist solutions provider (and one of the UK’s leading providers) for enterprise level personnel, recruitment and staff development management systems. Why did they choose eFront? 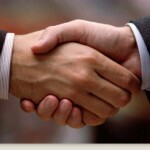 SDMS and eFront have partnered up to provide good value online training especially to small-medium sized organizations. If you’d like to know more please check out the case study on Slideshare! Lenzing AG is a global market leader in the production of man-made cellulose fibers with headquarters in Austria, production sites in all major markets as well as a worldwide network of sales and marketing offices. Lenzing is the leading supplier in many business-to-business markets and supplies the global textile and nonwovens industry. The portfolio ranges from dissolving pulp, standard and specialty cellulose fibers to high-quality plastic polymer products and engineering services. For Lenzing AG, the fast provision of work-instructions and trainings, as well as the capability to receive daily reports on the employee’s level of knowledge was the reason they chose the eFront LMS. 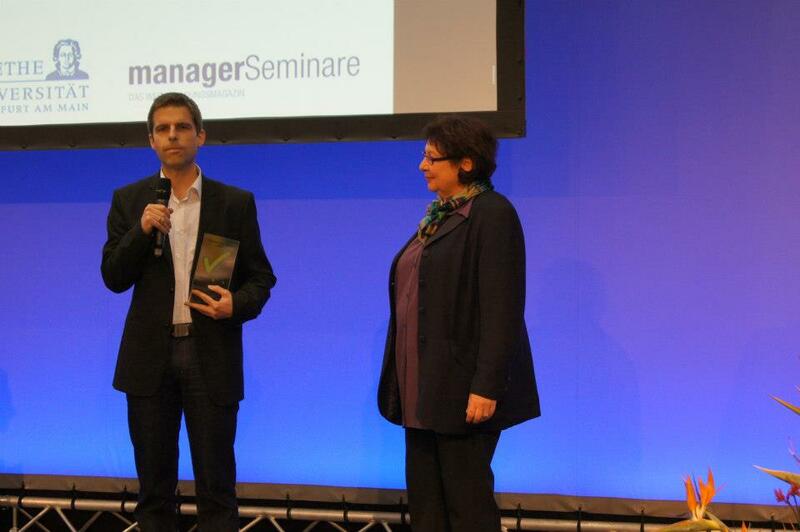 eFront presented a powerful and complete Learning Management-System solution. 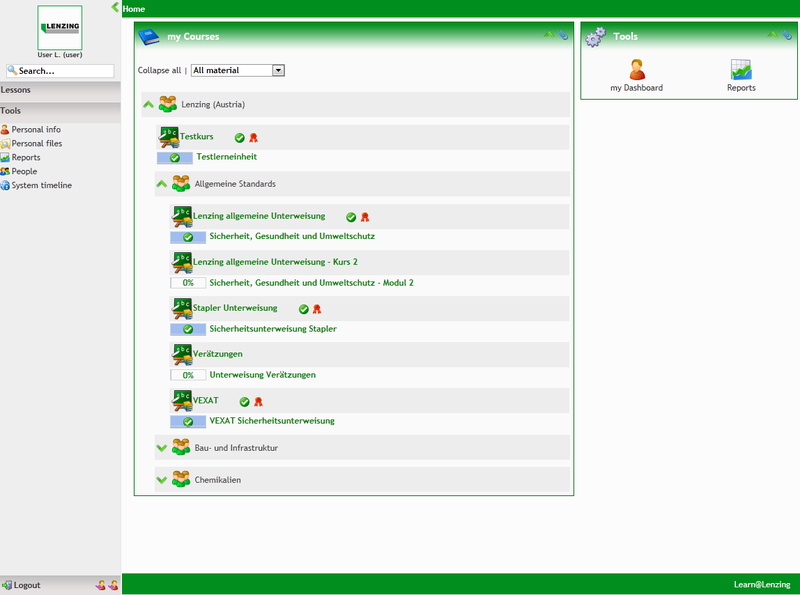 The complete organizational structure of Lenzing AG, including the departments and cost units are displayed in eFront and this whole database is updated daily through an import-interface. Today, Lenzing trains and instructs more than 3000 employees worldwide on more than 70 online-trainings on security aspects and production issues. The broadening of the range of trainings is planned for HR-subjects as well as the continuous enhancement of the system. What were the benefits of using eFront? To read an interview with CLICK&LEARN and learn more about what they’ve achieved through their involvement with eFront please check this blog post! Leading UK Staff Development and Personnel Solutions provider, SDMS Ltd, together with Epignosis, the developer of eFront®, recently announced the release of a new classroom module to complement the already extensive functionality of eFront® its award winning e-Learning platform. Source: original PR July 2, 2012. Leading Staff Development and Personnel Solution provider, SDMS Ltd, have announced a strategic partnership with Epignosis, the developer of eFront Enterprise® its award winning e-Learning platform. The Classroom Training Module of eFront is designed to enable Training Managers and Administrators to plan and deliver face-to-face and classroom training courses and address the day-to-day operational tasks of training administration. With eFront’s e-Learning course features, it allows you to deliver all forms of training from traditional classroom based courses, through conferences, team development, on the job workplace training, workshops to e-Learning courses, providing a total blended training management system. With the increasing need of organisations to take advantage of e-Learning but at the same time combine this with the more traditional ways of delivering training and employee development, the module provides learning managers with a set of tools to plan, deliver, administer and monitor classroom or work based courses of all kinds. • A utilities and configuration Module. The module also provides student level access for students to view face-to-face training courses on offer within the business and to apply to attend them. Students can view their complete training history of courses alongside the e-Learning profile.